Scanlation. What is it? Where did scanlation come from? Where is it going? In the past many have tried to answer these questions, but none could come up with a satisfactory answer. Until now. Join us as we unravel the secrets of scanlation, its past, its future, and everything in between. Brought to you by people who have created and lived in the world of scanlation. Find out everything you need to know about scanlation in... History of Scanlation! What is Backstage? 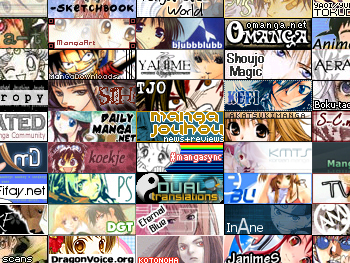 Think of Backstage as a history book, a book that records anime and manga related websites from around the internet. Time goes by fast, and websites come and go... our mission is to create tributes to those websites that once flourished, or are still flourishing. We keep records of their rise and (hopefully not) fall, so they won't be forgotten by the "future generations" of internet otakus. It doesn't matter if you are a new fan who just found your way to this scary placed called the internet, or a long-time "pioneer" of the community. We'll try our best to present you with a thorough introduction to each featured website's history, their importance and contribution to the community, as well as behind-the-scene talks with the staff. If you would like to see a particular website featured on Backstage, or submit your own website, please send an email to the above address.